For many horse riders, endurance riding conjures up the idea of tolerating long distances in the saddle. However, as members of the Gooloogong Trail Riders Association and Canowindra Pony Club found out last weekend at Woodstock, it means a great deal of fun and achievement, enjoying the privilege of riding their horses through beautiful countryside on a marked course, without having to open a gate! Of the 57 riders who started the 40km and 20km rides on Saturday and Sunday, October 17-18, 26 were local riders. The local competitors came from Woodstock, Cowra, Canowindra, Blayney, Mandurama and Forbes. Some of these riders included Ann-Maree Watson, Vicki Doyle, Jenny Birch, Karen Gerdes and Garry Birrell from the Gooloogong Trail Riders. From Canowindra there was Anna Ross, Phil Tucker, Kylie and Penny Whatman. Naomi Seaford-England came from Forbes and Tim Stevens was very local from Woodstock. Travelling a little further was Duane Blandford and Megan Blunt from Mandurama as well as Julie Dixon, James Ryan, Karyl and Stephen Bennett from Blayney. Riding along with the training and social riders were experienced endurance riders, all locals as well, including Chris Bailey, Annette Bailey, Donna Tidswell, Nikki Tucker, Barry Blinman and Erica Allan. Other local riders to feature in the 80km event were Mary Symons riding Ralvon Vim (12th middleweight), Andrew Jonkers Giriliambone Comet (equal fourth heavyweight), Robin Gossip (equal second lightweight) riding A’landell Sarlee and Dannielle Beard riding Botusa Park Spirit (fifth lightweight). For the first time ever, the Arabian Horse Association (AHA) has combined the Arabian National Endurance Ride and National Competitive Trail Ride into one week of exciting competition, October 27-31 at Lake Carl Blackwell in Stillwater, Oklahoma. Both National Endurance rides are American Endurance Ride Conference (AERC) Sanctioned. An open AERC ride will follow the championships. Sarah Adams at the ride that was based at Bungaree Station. About 40 endurance riders from South Australia, New South Wales, Queensland and Victoria made their way to the Bungaree Station last Saturday and Sunday (October 24, 25). The South Australian Endurance Riders Association held the first Clare Cup throughout the valley over the weekend. "It has been the most beautiful setting and we must thank the land owners Tom and Sal Hawker they have been fantastic. "Riders have said it is a challenging and beautiful course," president of the SAERA Sarah Adams said. Endurance riders had the choice of three different legs, the 'Black leg' that headed north from Bungaree at a distance of 37.5 kilometres, 'Red Leg' that headed east through Emu Rock and was 35.5 kilometres and the third leg was the 'blue leg' that went through Bungaree and headed out 20 kilometres toward Blyth. The country will showcase five young riders at the world event and expectations are quite high for Namibia to perform well. Namibia Endurance Horse Riding secretary-general Annette Hanekom said on Monday that three of the five-member delegation, Wanette Hanekom, Izolde von Schauroth and Marlene Janse van Rensburg, competed in the 2005 junior world championships held in Bahrain. Hanekom is confident that Namibia will do very well taking into account the experience the trio picked up at the last junior world championships. "I have very high expectations for the Namibian team," said Hanekom. She said the young riders would depart on 11 March for the South American country to get to know the Argentinean horses they would be riding. The Namibian team will be leasing horses from that country, said Hanekom. The two other riders making the team are Pierre de Wet and Ellaine Rudman, who are also determined to excel at the global event. Video and Photos from the Vet Check... The photos say it all about the mud. Congrats to Elroy, Gail and Terre for finishing in a true test of endurance! Kentucky Cup Vet Check Video & Photos - Walk through video and photos from the vet check at the Kentucky Cup on Tuesday, Oct 13. A partir d'octobre il est malaise d'organiser une course d'endurance dans les forets belges. Le lobby des chasseurs est l pour veiller au grain et faire entendre raison a n'importe quel gentil organisateur. Une gageure donc cette Coupe du Monde des Veterans a Mirwart. Heureusement qu'il y a le domaine provincial et ses 1500 hectares de forets ou la chasse est regulee. Un contingent de 24 chevaux a donc pris le depart par un froid de canard, dans l'obscurite pour affronter les 130km d'un parcours que l'on savait technique mais rouant. Pour eviter les desagrements causes par la pluie toujours possible, les organisateurs ont opte pour un parcours "tous temps" alternant des chemins empierres (avec le plus souvent une piste centrale avec de la terre, donc plus souple). Donc une alternance de pistes galopantes et de chemins durs dont personne ne s'est plaint. La vitesse moyenne est d'ailleurs la pour attester de la qualite du parcours. Mais il y avait des passages techniques ou il fallait relancer le cheval, des cotes et des faux plats, et la descente sur l'asphalte au retour vers le vetgate central. 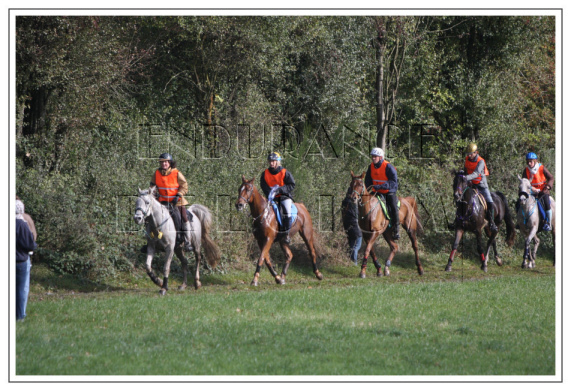 From October, it is a hard job to organize en endurance race across the Belgian forests. The hunting lobby is strong enough to dissuade any try. So it was necessary to look for other options. The Provincial Domain of Mirwart was the answer. A public managed forest of 1,500 hectares with good trails to choose from. To avoid muddy going, the choice was made to use dirt and rocky roads with nevertheless a central bank with a bit of grass. So all in all, a technical route made for good skilled horses and riders. Poespass (with Karin Boulanger onboard) one of the best belgian horse which suffered an elimination at the EC in Assisi was looking for a victory and was al the way in the lead. During the last loop, the couple launched several attacks trying to get rid of the German Petra Hattab and her good gelding. Finally, during the descent on the asphalt, Boulanger wasn't afraid to take the canter for finishing detached. 28 minutes later, a pack of three horses launched a sprint. Third place for the French rider Valerie Parisot. The rides, sponsored by Emirates Equestrian Federation, are the official endurance test event for the 2010 Alltech World Equestrian Games, according to a press release from the organisers. Shaikh Mayed crossed the wire first in the CEI** 75 mile event in a ride time of 6:05:30. McGunigal finished the CEI*** in a ride time in 6:30:41. 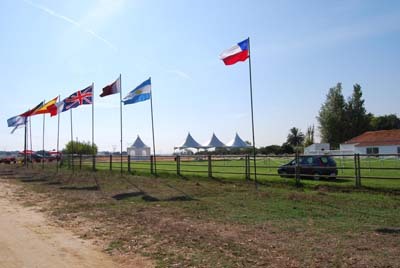 The CEI*** was originally an FEI qualifying event at a distance of 100 miles (160km), but lost its status when it was shortened to 120km after the footing became questionable in inclement weather. Shaikh Mayed was thrilled with his win. "It was amazing. This is the sport that we most love. It's our history," said Shaikh Mayed. "Given the weather today, the course was amazing. But the weather made it very difficult. There wasn't any hard part, other than the ground being a bit slippery. Other than that, it was excellent. There wasn't anything wrong or bad." "I have mixed feelings about shortening the race," said McGunigal. "The footing was only getting worse. Some of the parts of the trail that we had to go over were already slippery and deep and if the race was kept at the original distance, we would have had to go over it again, so in that sense, I am glad they shortened it. But I was hoping to use this race to qualify my horse [Gold Raven] for next year, and now we have to do it at another event, so that is very disappointing." Rain was a recurring focus of the day, with a downpour shortly before the start of the rides. It continued throughout the day for all mandatory veterinary exams, creating a messy vet gate and slippery footing. Two-time Endurance World Champion Valerie Kanavy and mother of McGunigal, was affected by the weather and footing. Kanavy was eliminated after her horse LM Parys fell on the second loop. "We were crossing the road on the blacktop and she just slipped," said Kanavy. "She went down and I went right after. She has recovered and is doing fine now." The endurance levels of the athletes from the 23 countries participating were truly tested. However, according to Mubarak Khalifa of the UAE, the weather was no big deal. "Endurance riders are used to riding in all kinds of weather, so this is normal." Riding Kangoo d'Aurabelle le, an 11-year-old pure-bred Arabian grey gelding, Shaikh Mayed completed the ride distance in 06:05:30. Second and third places in the event went to UAE riders Ahmad Salem Ali Sultan Al Sabousi, who partnered 13-year-old Bess Ess-Ob in 06:05:31, maintaining an average speed of 19.70kmph, and Yaha Sughayer Kanoon Al Aljtabi, who was astride nine-year-old Medjedra. He finished the ride in 06:20:30 with an average speed of 18.90 kmph. Mubarak Khalifa Bin Shafya finished in fifth place whereas Sultan Ahmad Bin Sultan Bin Sulayem finished in the seventh place. Fourth place went to Spanish rider Jordi Arboix. DUBAI — Shaikh Majid bin Mohammed bin Rashid Al Maktoum was the cynosure of all eyes at the Kentucky Cup Endurance event when he won the first place in the 120-km FEI CEI 2-Star ride in Lexington on Wednesday, a press release said. Riding Kangoo d’Aurabelle le, 11-year-old Pure-bred Arabian grey gelding, Shaikh Majid, son of His Highness Shaikh Mohammed bin Rashid Al Maktoum, Vice-President and Prime Minister of the UAE, and Ruler of Dubai, completed the ride distance in 06:05.30 riding an average speed of 19.70 kmph. The day featured two rides of 120 km and 160 km and five UAE riders took part in the 120-km ride. Both the rides, sponsored by the Emirates Equestrian Federation, are the official trial rides for the Alltech FEI World Equestrian Games which are scheduled to be held in Lexington, Kentucky from September 25 to October 10. It was a fabulous display of horsemanship and endurance combined together for Shaikh Majid as the weather played truant and made the ride route difficult. But Shaikh Majid finished first in all the four loops to emerge victorious. The rain was a recurring focus of the day, with a downpour shortly before the start of the rides. It continued throughout the day for all mandatory veterinary exams, creating a messy vet gate and slippery footing. Second and third places in the 120-km event respectively went to UAE riders Ahmed Salem Ali Sultan Al Sabousi who partnered 13-year-old Bess Ess-Ob in 06:05.31 maintaining an average speed of 19.70 kmph and Yaha Sughayer Kanoon Al Aljtabi who was astride nine-year-old Medjedra. He finished the ride in 06:20.30 with an average speed of 18.90 kmph. Mubarak Khalifa bin Shafya finished in the fifth place whereas Sultan Ahmed bin Sultan bin Sulayem finished in the seventh place. (Fourth place went to Spanish rider Jordi Arboix). As many as 35 riders from 25 countries were represented in the ride which saw 14 finishers. The Alltech FEI World Equestrian Games are the world championships of eight equestrian disciplines recognised by the International Equestrian Federation (FEI). Princess Haya bint Al Hussein, wife of Shaikh Mohammed. Lexington, KY - After a day that tested the will and stamina of some of the world’s best endurance athletes, it proved to be a clean sweep of the medals podium in both the two-star and three-star endurance competitions in the 2009 Kentucky Cup Endurance race. The event, held at the Kentucky Horse Park and neighboring farms, served as the test events for the 2010 Alltech FEI World Equestrian Games. In the 100-mile ride (that was shortened to 75 miles due to inclement weather and deteriorating conditions), it was an all-American medals haul. The riders from the United Arab Emirates (UAE) were dominant in the original 75-mile effort, taking the Gold, Silver and Bronze home. Former World Champion and longtime endurance athlete Danielle McGunigal, 38, led the pack aboard Gold Raven in a final ride time of 06:30:41 to handily claim the Gold. Some 20 minutes behind her in final ride time was Iowa’s Ellyn Rapp, 27, and Berjo Smoky to pick up the Silver medal. And the competitions’ senior rider, 69-year-old Jan Worthington and her Golden Lightning, crossed the finish line nine minutes later to win the Bronze medal. In addition, her mount won the coveted Best Condition Award. McGunigal’s mount, an eight-year-old grey Arabian mare, was tough and defiant against the very challenging atmosphere presented to her. The rider was quick to comment on just how strong and promising the horse is and how equally strong is the mare’s will. “Raven is unique, and I’ve competed two of her sisters. They are very tough and really put their teeth into the work they are doing and get it done," she said. "Sometimes she can be such a bully. She will push you around the [vet] check, and she knows what she wants and can be difficult. But, at the same time, that is what is great about her is that she is difficult." The easy gallop at which contenders started Wednesday's endurance race at the Kentucky Horse Park belied the grueling conditions that riders and steeds would face over the 75-mile course of soupy mud and some slick pavement. This isn't a sport for the faint of heart on a clear day, let alone Wednesday's rainy, sub-50-degree conditions. "I don't know. Is it crazy or stupid?" said Danielle McGunigal, 38, of Fort Valley, Va., after the second of four loops of 13.3 to 24.7 miles. By that point another competitor, Matthew Sample of Australia, already had been whisked to the nearest portable heater to counter hypothermia-like symptoms upon arriving at the first checkpoint. (He wouldn't finish the race). And McGunigal's mother, two-time world champion endurance rider Valerie Kanavy, was forced out after her horse slipped and fell. All that was just in the first half of the race for those rain-chilled riders and horses that finished Wednesday's test run of the endurance event for the 2010 Alltech FEI World Equestrian Games at the Horse Park. LEXINGTON, Ky. — Danielle McGunigal, a former world champion in endurance riding, has competed in conditions as challenging as the cold, daylong rain and mud that defined Wednesday's Kentucky Cup Endurance competition at the Kentucky Horse Park. But having that experience doesn't mean slogging 75 miles — shortened from the scheduled 100 because of safety concerns — on horseback in 40-degree weather wearing thin riding pants and not much more than lightweight rain gear is just another day at the office. This from a competitor who was, at the time, second halfway through the competition, which served as a test event for next year's Alltech FEI World Equestrian Games. Lexington, KY - It was weather fit for neither man nor beast. But, it was not going to stand in the way of the determined horse-and-rider combinations that made their way to the Kentucky Cup Endurance - the official test event for the discipline of endurance riding and the 2010 Alltech FEI World Equestrian Games. The day promised two international-level competitions consisting of a 75-mile and a 100-mile race through Bluegrass farmland. But, that would change halfway through the event for those combinations competing in the 100-mile marathon. The footing began to lose its integrity and become excessively slippery for the horses, and they began sliding on the turf. For safety reasons, a decision was made by the organizers to shorten the 100-mile and turn it into a second 75-mile contest. Safety is a very important word in an equestrian’s vocabulary. As the day started, there was excitement among the many support teams that assist in the challenge of safely managing the horse through the race and the 23 countries gathered from around the world at the Kentucky Horse Park. In the pre-dawn hours, the work began. Pouring rain and 40-degree temperatures currently face those riders on the trail that includes a 20-mile lap through farms and across busy roadways (state and local police are ensuring stopped traffic). With safety paramount, each lap is followed by a mandatory check-in (or "vet check") where the rider will dismount. What follows is an examination of the horse by a team of veterinarians and support staff to ensure proper temperature, heartbeat and respiration rates, plus a full metabolic profile. Once the horse is trotted to confirm soundness and deemed fit to continue, the horse is cleared, the rider mounts and the race goes on. But finishing first in endurance doesn’t necessarily ensure a win. Upon completion of the grueling test, the horse must once again be checked. Only once proper health is established is the result official and the winner crowned. There is no shortage of winners and champions (and dignitaries for that matter) in the Kentucky Endurance Cup. Current European endurance champion Maria Alvarez Ponton of Spain is competing, as is Sheikh Majid bin Mohammed Al Maktoum, son of the leader of the team from the United Arab Emirates, Sheikh Mohammed bin Rashid Al Maktoum, ruler of Dubai, who dropped out of the competition prior to its start early this morning. American endurance "royalty" Valerie Kanavy (a former United States Equestrian Federation Equestrian of the Year and two-time World Champion) is competing alongside her daughter, Danielle McGonigal, also a World Champion. There are a total of 30 American riders in the 100-mile marathon. “This event is an excellent opportunity for the riders, and especially the large contingency of Americans, to get a sneak peak at what they will face at next year’s World Equestrian Games," said Vonita Bowers, USEF Director of Endurance. The 75-mile race began at 7:30 a.m., and it is estimated that the first rider will complete the trail in approximately eight hours. With the reduction of the 100-mile race, it is expected that the leaders will finish in a similar timeframe due to the shortened trail. A complete wrap-up of the Kentucky Cup Endurance event will be issued on Thursday, October 15, following a press conference with the winning riders, plus the announcement of the Best Condition Award being bestowed on the horse completing the marathon in the best physical condition. For more information on the event, visit http://www.alltechfeigames.com. Drivers on Ironworks Pike, Newtown Pike, Mount Horeb and Huffman Mill Road can expect to make stops throughout Wednesday for riders in the Kentucky Cup Endurance test event for the 2010 Alltech FEI World Equestrian Games. Riders will be competing over two courses, one of 100 miles and another of 75 miles, that crisscross widely over land around the Kentucky Horse Park. Riders will cross roads intermittently from about 9:15 a.m. to 9:30 p.m. Those crossings will be marked with signs and police officers. The 75-mile race will begin at 7:30 a.m., and the 100-mile race will start at 7:45 a.m. Riders will be looping back to the Horse Park throughout the day for periodic veterinary checks. The course is open to spectators only at the Horse Park; no spectators will be allowed anywhere else on the course, most of which is on private property. Parking at the Horse Park will cost $3, but the event is free. Athletes are expected from more than 20 countries, including Argentina, Brazil, Canada, Israel, Romania and Spain in preparation for next year's Endurance World Championship at the 2010 Games. The team from the United Arab Emirates will be led by Sheikh Mohammed bin Rashid Al Maktoum, who owns horse farms in the Bluegrass. His wife, Princess Haya, is the president of the International Equestrian Federation, the Games' governing body. The sheikh's son, Sheikh Majid bin Mohammed Al Maktoum, also will ride for the UAE. Current world champion Maria Alvarez Ponton of Spain, and the mother-daughter team of Valerie Kanavy and Danielle McGunigal of the United States also will compete. KUANTAN, Oct 11 (Bernama) -- Shahruddin Abdullah, representing Team Blue Moon, overcame the challenge of 27 other riders to win the gruelling 100km race in the Pahang-PENN Endurance 2009 that ended at the Pahang International Endurance Park here on Sunday. Shahruddin completed the 100km route in 7 hours 25 minutes 07 seconds to beat Wan Mohd Kamaluddin Wan Yusuff from Team Moro Deuz who came in with a time of 7'29:08s while Muhammad Zaini Saad (Ropadi Bal Tazar) clocked 8'35:57s to take third place. Yang di-Pertuan Agong Tuanku Mizan Zainal Abidin, the defending champion, had to drop out of the race as his horse "Tarjari Moonlight Pharoah" suffered a health problem. Tuanku Mizan's children Tengku Muhammad Ismail and Tengku Nadhirah Zahrah meanwhile, competing in the same category, decided to withdraw after completing 70km. Though Tengku Muhammad and Tengku Nadhirah had decided to withdraw, the 70km completed was their best personal achievements as both had only managed to complete 60km distances in the past. In the 60km category, Norlaily Bunyamin representing Team Bremervale Jessie James, emerged victorious after completing her race in 4 hours 30 minutes 32 seconds. Mohd Shahlan Hamzi Mohd Noor from Mater Scaff Endurance came in second with a time of 4'42:17s while Haris Zulhkiple Navaronne from WP Equestrian Team finished third with a time of 4'50:26s. The 20km category was won by Amir Ghani Ahmad from Ar-Raudhah Equine Centre with a time of 1'16:27, ahead of Al Iskandari Equine Park rider Mohd Fazlee Marzuki (1'25:15s) and Mohd Anif Mohd Nawi. KUANTAN, Oct 10 (Bernama) -- Yang di-Pertuan Agong Tuanku Mizan Zainal Abidin was among 97 local and foreign riders who started on their quest in the Pahang-PENN Endurance Challenge 2009 at the Pahang International Endurance Park in Cherating near here Saturday. The King, an avid endurance rider, representing Royal Terengganu Endurance Stable (RTES) and wearing a 7 numbered jersey, rode out for the 100km race with 28 other competitors in his class, astride his horse "Tarjari Moonlight Pharoah". His two children, Tengku Muhammad Ismail and Tengku Nadhirah Zahrah were also riders in his class which started of at 4.30pm today and expected to last for 15 hours, before ending at 7am Sunday. Last year, Tuanku Mizan emerged as the champion in the 100km category with a time of 8 hours 17 minutes and 49 seconds. Two other categories contested, 60km and 20km, saw 52 riders and 17 riders respectively, competing for honours. Riders are expected to take about 8 hours to complete the 60km race while the 20km race is expected to take about 3 hours to complete. Apart from local riders, endurance riders from Germany, France, Singapore, Thailand and Indonesia are taking part in the competition. Sheik Mohammed bin Rashid Al Maktoum makes his return to international riding on Wednesday (14 October) in the test event for the 2010 Alltech World Equestrian Games. 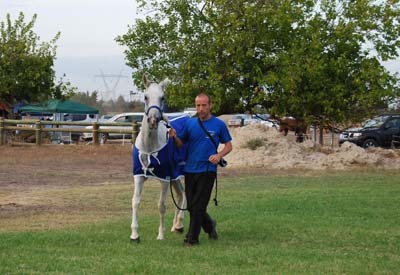 The Sheik was banned from competition for six months after being found guilty of doping his horse Tahhan at the CEI 2* 120km in Sakhir, Bahrain, on 10 January and the CEI 2* 120km in Dubai, United Arab Emirates (UAE), on 28 February. About 123,000 tickets have been sold to the 2010 Alltech FEI World Equestrian Games since they went on sale Sept. 25, organizers announced Thursday. That means roughly one-third of the Games' ticket budget has been met, said Jamie Link, CEO of the World Games Foundation, which is putting on the event at the Kentucky Horse Park next year. Previously, the foundation has set $30 million as the goal for ticket sales. "The outlook is very positive," he said. Ticket buyers are coming from all 50 states and 40 countries. A more detailed demographic breakdown will be available in a few months, he said. The ticket sales have also prompted more sales of hospitality packages, which are a combination of tickets and VIP accommodations. ■Several Games' employees will travel to Copenhagen next month to report to the International Equestrian Federation on the Games' progress. ■The Kentucky Horse Park Foundation will contribute funding towards building a veterinary diagnostic center, which will remain in place after the Games. It will be used to diagnose problems before horses are taken to veterinary facilities around Lexington. ■Marketing director Terry Johnson reported that 80 percent of the sponsorship budget has been reached, and 60 percent of the spots in the trade show have been sold. ■The test event for the 100-mile endurance race will be held on Oct. 14. 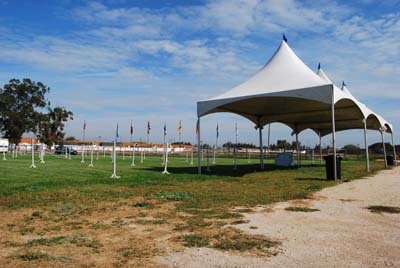 Test events have already been held for reining, vaulting and carriage driving. Barroca d'Alva, Portugal, September 2009 - The International Endurance Championship ride held in Barroca d'Alva, Portugal saw a victorious sweep of Al Shahania horses. Boasting first, second, and fifth place, the race challenge brought exciting, international, and highly competitive racing to Portugal and raised the bar of endurance racing in the country. Race results highlight the Qatari-based stud farm's increased dedication and enthusiasm for endurance racing around the world. "We are thrilled with our race results as it demonstrates the equine talent we are actively seeking to develop and promote through our stud. We are completely dedicated to the support of endurance around the world. The Barroca d'Alva ride attracted a large number and high caliber of participants from around the world to take part in what was truly a world class race. We look forward to becoming increasing involved with the support and promotion of endurance in Portugal as well as other European nations", said a representative of Al Shahania stud. Riding close together, Al Shahania fillies Utopia and Kirina kept to the front of the pack throughout all loops of the race. Already 1st and 2nd after the fourth loop, their last rival could not continue. In the final 5th loop they steamed by the others at an average speed of over 20 kph to singularly grab the lead, and take victorious first and second place, a second apart from one another. Andre Borges on Kirina galloped into first with a time of 6:13:34, and only one second behind was Luis Romero on Utopia Rounding out Al Shahania's victorious day, Renato Contreras on Andalus finished fifth with a time of 6:56:27. The winning filly Kirina was later judged to be the Best Conditioned horse. The 160 km race route although mostly flat, was variable with diverse land use ranging from forestry and estuary terrain, to vineyards, and agricultural farmlands. Due to the course's variation, several riders were heard to comment that it was a race that would require careful thought, and strategy. Race host city Barocca d'Alva is situated approximately 30 minutes from Portugal's capital city Lisbon. The area is a renowned equine hub organising various equestrian competitions throughout the year. Whilst Portugal had previously hosted many important European endurance races, this international race highlights the fact that the climate and diversity of the country’s terrain makes it a highly desirable race venue. Keen to embrace the world's growing interest and participation in endurance, Al Shahania has ambitious plans for future race sponsorships as well as increased breeding efforts. Al Shahania Stud, founded by HH Sheikh Mohammed bin Khalifa Al Thani, is recognized as an international racing enterprise. In all, 157 horses reside at Al Shahnia, predominantly of French lines, and the farm produces an average of 20 foals per year. In the 20 years since its inception, Al Shahania has earned a place among the world’s great Arabian race stables, helps define the standard for excellence in breeding of the Arabian horse. Al Shahania breeds both flat and endurance racers, and is consistently producing results-driven horses. KUANTAN, Oct 7 (Bernama) -- The Yang di-Pertuan Agong Tuanku Mizan Zainal Abidin will take part in the three-day Pahang-PENN Endurance Challenge beginning this Saturday. Pahang Youth and Sports Committee chairman Datuk Wan Adnan Wan Mamat said the championship held for the second time in Cherating, near here, had also attracted 130 participants from six foreign countries, namely Germany, France, Singapore, Thailand and Indonesia. "It is understood that the Yang di-Pertuan Agong will ride the horse, Tarjari Moonlight Pharoah, in the 100km category of the endurance race," he told reporters, here, on Wednesday. Tuanku Mizan has not only excelled in the sport domestically, but has also done well in competitions outside the country. Wan Adnan said Saturday's endurance challenge, divided into three categories -- 100km, 60km and 20km -- would also be graced by the participation of Tengku Muhammad Ismail and Tengku Nadhirah Zahrah, two of Tuanku Mizan's children. "This championship will be the first to use the track at the 100-hectare Pahang International Endurance Park, Cherating which had cost RM2 million to build. "It is the second such track for endurance races after the one in Lembah Bidung, Terengganu." He said such events held here would help promote tourism and build interest in equine sports among the people. LEXINGTON, KENTUCKY-October 7, 2009- On October 14, riders from more than 20 countries will compete in the Kentucky Cup Endurance race, sponsored by Emirates Equestrian Federation, and the official endurance test event for the 2010 Alltech World Equestrian Games. 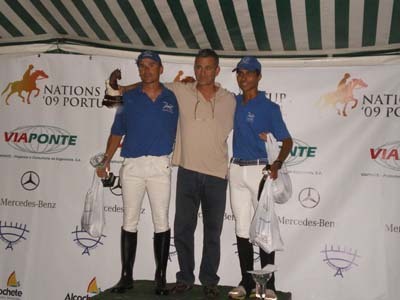 Athletes from Argentina, Brazil, Canada, Israel, Romania, Spain and many other countries are expected to compete in or observe Kentucky Cup Endurance in preparation for next year's Endurance World Championship at the 2010 Games. The team from the United Arab Emirates will be led by HH Sheikh Mohammed bin Rashid Al Maktoum. His son, HE Sheikh Majid bin Mohammed Al Maktoum, will also ride for the UAE. Admission to Kentucky Cup Endurance is free to the public. Parking will be $3 per day at the entrance of the Kentucky Horse Park. Kentucky Cup Endurance spectators can also enjoy the other Kentucky Horse Park attractions. Admission to Kentucky Horse Park attractions is available at the Visitor's Center. The Alltech FEI World Equestrian Games are the world championships of eight equestrian disciplines recognized by the Federation Equestre Internationale (FEI). HRH Princess Haya Bint Al Hussein of Jordan is the current president of the FEI. The Games are held every four years and this will be the first occurrence in the United States. Pre-entries for the Kentucky Cup and North American Team Challenge Endurance ride on October 14, 2009 in Lexington, Kentucky, have been announced. Riders from 22 nations are scheduled to participate in the 160 km CEI*** ride and the 120 km CEI** ride. 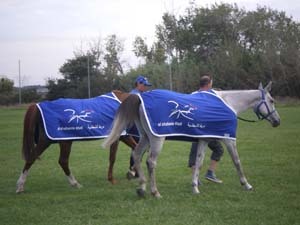 Both rides are test events for the 2010 Alltech World Equestrian Games Endurance to be held in September of 2010. The course will be a series of loops on the Kentucky Horse Park and surrounding property. Vetting in will be on Tuesday, October 13th from 10 AM to 3 PM. The 75 mile ride will begin on Wednesday October 14th at 7:30 AM, and the 100 mile ride will begin at 7:45 AM. Endurance Canada and Equine Canada are pleased to announce the Canada East and Canada West Squads for the 2009 Endurance Kentucky Cup CEI3*, being held October 14. "How fortunate Canada is to be sending such great riders and horses to The Kentucky Cup" said Endurance Canada Committee chair, Daphne Richard. "Experienced, international riders with amazing, proven horses together with new rising stars—this will be a wonderful opportunity for all of the Canadians to test the trail, experience the venue and grow as a team in preparation for the 2010 Alltech FEI World Equestrian Games. Endurance Canada would like to congratulate everyone on being selected to the Canada West and Canada East Teams, and wishes all riders a most successful competition." Dubai: Shaikh Majid Bin Mohammad Bin Rashid Al Maktoum, Chairman of the Dubai Culture and Art Authority on Thursday witnessed the launching of the Shaikh Majid Endurance race for the distance of 27 kilometers, at the Dubai International Endurance City at Seeh Al Selm. The race was divided into two phases and 49 UAE national horsemen participated in each phase. The first group winner was Mohammad Nour Mohammad who finished the race in 2 hours, 35 minutes and 6 seconds. Mohammad Al Suwaidi won the second phase marathon, finishing in one hour, 47 minutes and 55 seconds. Ahmad Raheem Jassim came in the third place.